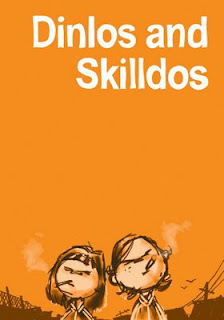 Dinlos and Skilldos: WTF is Dinlos and Skilldos?! The last piece of comic I read that (to this day) I am totaly in love with is: JTHM.. Satiric to extremes. The (Dinlos) in this one is the common public at whole.. which thru his insane babble, I totaly agree with.